Can You Use Paypal Anonymously? Paypal is one of the most convenient platforms for sending and receiving money online without hassle. Once Paypal is linked to your bank account, you can easily transfer funds: Paypal to bank account, bank account to Paypal, Paypal to business, Paypal to Paypal, etc. Although many users are satisfied with the features and services that the Paypal platform provides, some wish that Paypal would allow users greater anonymity. With the current state of Paypal, it’s impossible to conceal personal details such as: name (first/last) or business; location (city/state); and/or email address – regardless of the transaction type (including donations). 1. Allow users to receive donations anonymously on Paypal. 2. Allow users to send donations anonymously on Paypal. 3. Allow users to modify anonymity status. 1. Do not use a personal email address. 2. Consider a fake business name. 3. Use a P.O. Box address. What information can be seen on your Paypal account? What’s currently the best option to maximize anonymity on Paypal? What do you think about lack of anonymity on Paypal? The chief reason that Paypal should enable anonymous donations and payments is to protect the privacy of its users. Not every Paypal user is comfortable divulging personal details such as name (first/last); business name; location (city/state); and/or email address for every transaction. Many have argued that including a “business name” isn’t as risky as personal name, however, assuming you’re using an official business name for your Paypal account, with a little digging, most people will still be able to find the name of the business owner (first/last name) plus his/her address. If your business is registered to your home address – it shouldn’t take much work for someone to track you down. Although a P.O. 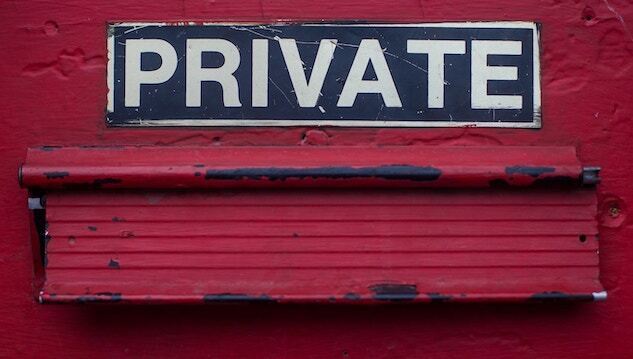 Box offers an additional layer of privacy – it’s no guarantee of full privacy. Doxxing: Doxxing is the act of searching for private or identifying information about an individual and publishing it on the internet. It’s possible that the personal information provided via your Paypal could lead to doxxing. Hackers: Someone who sees the email address associated with your Paypal could attempt to hack your Paypal. If successful, they could wipe out your Paypal cash – and possibly your checking account. Stalkers: Let’s say you’re a good looking woman running a popular YouTube channel and Instagram – or you’re some dude with a popular website and controversial take on current politics… In both of these scenarios, if you accept Paypal donations, there may be creeps and/or wackjobs who find your personal information – which could lead to stalking and possibly violence. (This is even more problematic if you have family – particularly children). Many people would love it if Paypal offered its users greater privacy protection. In fact, many Paypal users would be willing to pay for greater privacy protection – like a one-time fee or even a recurring, annual fee. There’s no good reason that Paypal forces its users to divulge certain details with others – especially when making or receiving donations. Some might argue that personal information needs to be shared for tax purposes, etc. – but it really doesn’t. Once you’ve verified your Paypal account and received a certain quantity of money, Paypal already knows your personal information (name, address, banking information, social security number, etc.). It is the responsibility of the Paypal user and Paypal (if a monetary threshold is reached) to report Paypal earnings and donations on taxes. Below are just a few quick suggestions that I thought of off the top of my head. If you have additional recommendations, let me know so that I can add them to this article. If you don’t want personal information revealed to the public – yet still want to receive donations on Paypal – there should be an option to receive donations anonymously (with no sharing of personal information). Paypal could give its users the option of making a unique “User ID” for the sake of receiving money. Heck, they could even charge them for it (e.g. $20 per ID or $20 per year for privacy, etc.). It should also be possible to send money anonymously on Paypal. Similar to receiving donations anonymously, it should be possible to create a unique “User ID” (string of letters/numbers or customization). If you don’t wish to conceal your personal information on Paypal – you won’t be forced to. However, you should be able to modify your anonymity on Paypal at any time. Furthermore, you should be able to set-up anonymous donations AND send money anonymously at any time. Lack of anonymity on Paypal may not only ruin lives, but it may decrease Paypal use. The goal of Paypal should be to increase use – not discourage it. Below is just one example of what can happen as a result of accepting donations via Paypal – and Paypal’s sharing of personal information with donors. Note: I didn’t search extensively for cases in which lack of privacy on Paypal caused problems, but if you know of additional cases (or have your own case) – please share in the comments. If you’re accepting money or donations on Paypal – do NOT use a personal email address or an email address with information that could be used to identify you. If your name is John Johnson – don’t use your email (e.g. [email protected]) or any email that could be linked to your name. Instead, you can create a separate email address just for Paypal and/or anonymity. An email with a random string of letters, symbols, and numbers would probably be best. Although this may be against the Paypal terms of service (TOS) – it’s relatively unlikely that Paypal will track you down and force you to verify that you’re a legitimate business. Even if they do force you to provide some valid business information – you may be able to get away with the “sole proprietorship” argument. For example, if you’re running a website named DrewIsDope.com – you might be able to just put DrewIsDope.com as your business name. Similarly, if you’re running a YouTube channel named DrewTube – you may be able to use DrewTube as your business name. Another thing you can do if you have a Paypal account is to create a P.O. Box address.If there’s any chance that someone could get your address off of Paypal – this P.O. Box adds an extra layer of privacy in comparison to your real mailing address. If you’re using Paypal.me – anyone who sends you money can see your general location (city/state). It would be nice if Paypal could allow users to remove this – but they haven’t because Paypal.me is designed with the intent of transferring money between family and close friends. If you live in a big city – it would probably be a lot of work to track you down if someone only gets your fake business name plus a P.O. Box. That said, you could get a P.O. Box in a smaller town (to throw any potential stalkers for a loop). Oppositely, if you live in a smaller town – you could get a P.O. Box in a bigger nearby city for increased anonymity. Most people will probably be okay with getting a P.O. Box in their own city. It depends on the type of Paypal account that you’re using. A personal Paypal account is probably the worst account that you can use if you’re hoping to avoid stalkers or people tracking your personal information. Why? Because people can see your first and last name plus the email address associated with your Paypal account. A business Paypal account is a bit safer (slightly more anonymous) because you can get away with just providing your business name (e.g. Anonymous, LLC) and location. Paypal.me can be used with a personal or business Paypal account. It displays your name OR business name AND location (city/state). The drawback of Paypal.me is that you cannot accept credit card donations – or recurrent (e.g. monthly) donations. A standard personal Paypal account offers substantially less anonymity relative to a business Paypal account. A business Paypal account offers a bit more anonymity relative to a personal Paypal account. However, if you have a legitimate business, someone can simply look up your business details and find your First/Last name plus address in the registration. Some have used a fake business name with a business account, however, it is unclear as to whether this is legal. It may be out of compliance with the Paypal Terms of Service (TOS). That said, will Paypal really do anything about it if you provide inaccurate business information? Another way to receive donations is to use Paypal.me. Paypal created Paypal.me to compete with other payment apps for sending money quickly between friends/family. The major con associated with using Paypal.me is that it does not accept credit card donations (whereas other Paypal accounts do). Business Paypal account. As was already mentioned earlier in this article, using a business Paypal account with a “business name,” linked to a business email, and P.O. Box is probably your safest bet. Unfortunately, at this time, Paypal doesn’t offer users much anonymity – even if they would like it. Nevertheless, a business Paypal account can conceal most of your personal information when sending and receiving money (especially donations). In my research for increasing anonymity on Paypal, I came across a YouTube video from someone who seems to have a workaround for those interested in creating a fully anonymous Paypal account. Let me preface this segment by stating that I do NOT endorse or recommend setting up an anonymous Paypal account– as this is illegal. That said, the YouTube user “supernetsreviews” has outlined a method that some individuals have used to create fully anonymous Paypal accounts. It is unclear as to whether Paypal eventually cracks down on these people, freezes funds, and/or closes down accounts. The steps needed to create an anonymous Paypal account were shared by YouTuber “supernetsreviews” and documented below. Clean IP (VPN): The first step involves setting up a brand new, clean IP address that cannot be traced to you. The way to do this is by getting a VPN. When buying the VPN, it is recommended to use cryptocurrency (e.g. bitcoin) – as other payment methods can be traced to your bank account. Select a VPN location: It is next suggested to take note of the state where your VPN address is located.The city/state where your VPN is located will be where your Paypal profile information comes from. Find a name and address in the VPN location: Next, it is suggested to look for a name and address in the same location (city/state) as your VPN address. It is also suggested to pay someone to find out this person’s social security number (allegedly this can be done for $2 – crazy). Register Paypal with the saved address details: The YouTuber recommends registering Paypal with the details of the name and address that are in the same location as your VPN. Prepaid debit card with direct deposit: Thereafter, it is suggested to get a prepaid debit card at a store or online (with bitcoin). In this YouTube video – the nFinanSe card was recommended. Unique account number/routing code: Register the unique account number associated with the debit card/direct deposit with Paypal. Verify deposits: Paypal will send a couple of deposits to verify – which will be seen on the nFinanSe statement. Confirm these deposit amounts with Paypal and you’re done. Additional verification (? ): The author of this method states that Paypal may limit your account require additional identity verification with a valid ID (e.g. driver’s license) and utility bill. The author of this method states that the workaround for this is photoshop (seems unlikely). Done (Anonymous Paypal): After the deposits are verified, you’ve got a fully anonymous Paypal account (under someone else’s name) in a fake location. It should be noted that YouTuber supernetsreviews did NOT advocate using this method in his/her video. He/she was merely sharing a way in which someone could use Paypal anonymously. If you use this method – you run the risk of being prosecuted and criminally convicted for going against the Paypal terms of service (TOS) and using someone else’s identity. I have some questions about this method like: What if the person’s ID you use already has a Paypal? What if their address changes? (Things could go wrong). Users of this method also are at risk of Paypal freezing their funds and shutting down their account. Keep in mind: This isn’t what most Paypal users want when they say they want more anonymity/privacy. Most Paypal users want to create a completely legitimate account – and have the option of omitting certain details when sending/receiving money (especially donations). There are several alternatives that could be used instead of Paypal if you need greater anonymity. The only major problem is that they: (1) aren’t used as widely as Paypal (meaning you’ll get fewer donations); (2) may charge greater fees than Paypal; and/or (3) may be less secure than Paypal. If you’re able to form some sort of membership-type community and people really value your content – you can probably just forgo Paypal and rock with Patreon. Patreon will allow you to stay relatively anonymous as a creator unless you deliberately share personal information. Another nice perk associated with Patreon is that you can offer rewards based on the amounts ($) contributed. Additionally, Patreon protects the identity of donors (as long as they conceal personal information) by acting as an intermediary or escrow. People are less familiar with Patreon (compared to Paypal) – and may be less likely to donate. Patreon doesn’t allow one-time donations – it’s more of a membership program associated with recurrent (monthly) donations. Patreon charges a 5% fee for every transaction (versus 2.9% + $0.30 for Paypal transactions). Censorship: Many prominent public figures like Jordan Peterson, Sam Harris, Dave Rubin, et al. have abandoned Patreon due to its political bias. Perhaps the best way to send and receive donations anonymously is to use cryptocurrency (e.g. Bitcoin). However, sending and receiving cryptocurrency donations can get complicated for the average person. Most people don’t have bitcoin or cryptocurrency – so you’ll probably get fewer donations. Most people with bitcoin/crypto aren’t comfortable using it – they may be worried about sending money to the wrong address, getting their crypto hacked, etc. Volatility: The value of cryptocurrency is more volatile than that of the dollar. This isn’t necessarily a bad thing – but can be if the crypto market takes an unexpected downturn. Note: If you know of another service that offers both one-time and recurrent donations via checking, debit/credit, or Paypal AND protects the personal information of both senders and recipients for payments and donations – let me know. I think Paypal could offer users greater privacy protection (especially for sending and receiving donations) if it wanted. I think Paypal doesn’t want to offer greater privacy protection because implementation may be costly. 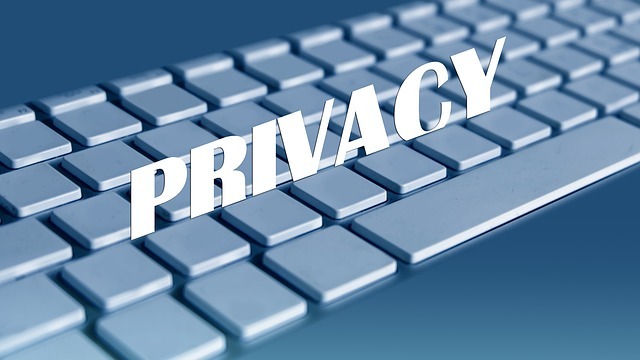 (The costs required to implement greater privacy protection might not outweigh the benefits). I think Paypal could charge users either a one-time fee or recurrent fee (e.g. annually) for privacy protection – and many would buy this. I think Patreon could easily create a one-time donation option – and I don’t quite understand why they won’t. I’d appreciate you sharing your thoughts on lack of ability to remain anonymous on Paypal (particularly for sending/receiving donations). Below are some questions you could answer if you leave a comment. Why do you wish to remain anonymous on Paypal? Do you wish Paypal settings could be modified to conceal personal information? Would you be willing to pay a one-time fee or annual fee to Paypal for protecting your personal information? Can you think of any good reason(s) that Paypal doesn’t allow greater anonymity for users for transactions or donations? What steps have you taken to conceal personal information on Paypal?